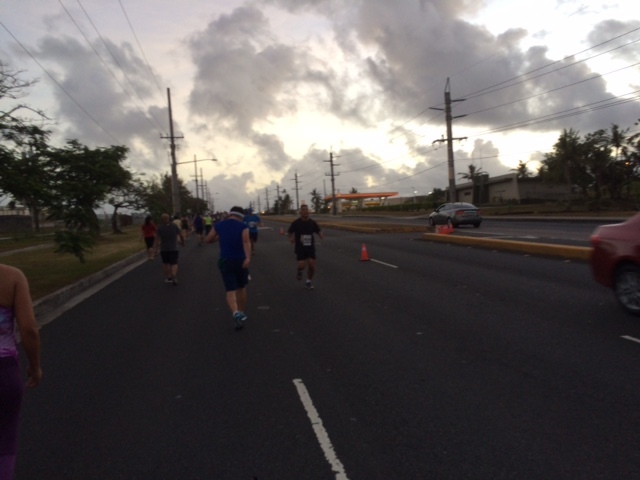 Guam International Marathon 2016/Phiten Hawaii Run series!! 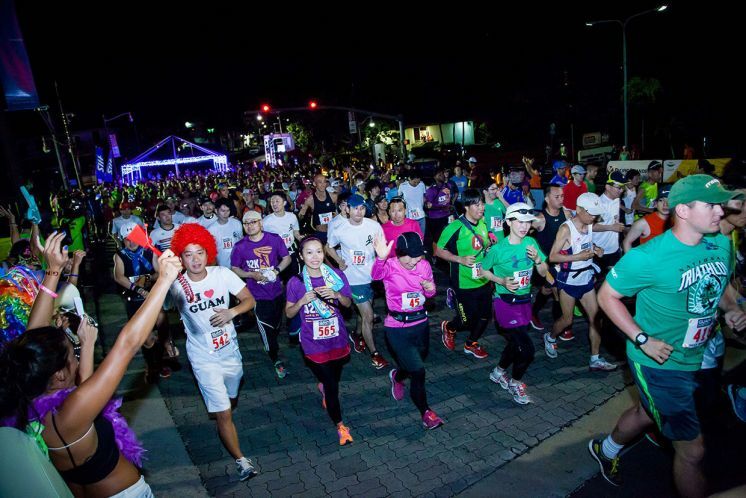 This is the series which introduces marathons that Phiten Hawaii actually attend and run it. We strongly hope that this info can help you to motivate yourself to run with us! 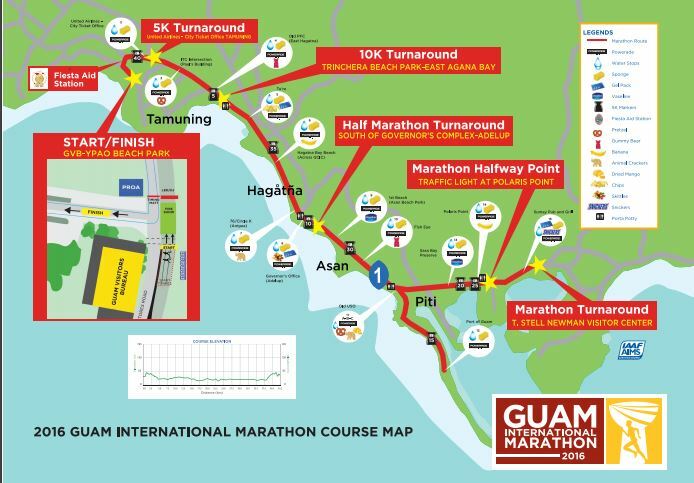 Here are the details of Guam Marathon 2016! 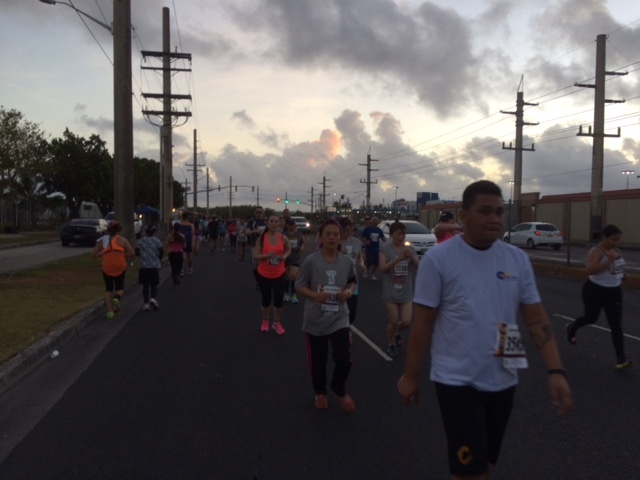 We had so many things going on during Guam Marathon week this year as well! This year too, we had 5k, 10k, half marathon, and full marathon. The overall runner’s count was about 3,500. Its Expo was on 4/8(Fri) and 4/9(Sat). On 4/10(Mon), it was the actual run day! 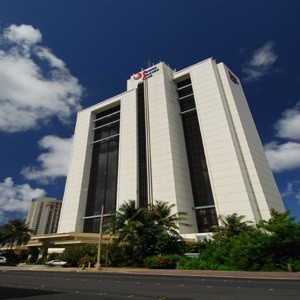 Our hotel was PIC (Pacific Island Club). This is a resort hotel, and so many family customers stay here. Their many pools and water attraction seemed intrigue family customers. And it seemed this hotel was popular among so many tourists from Korea. 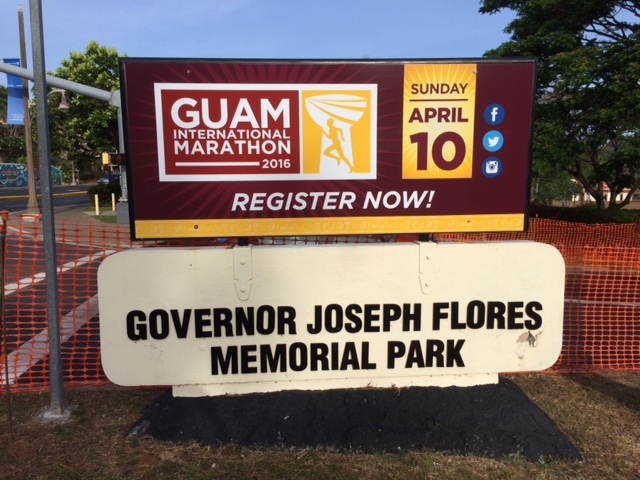 Guam International Marathon 2016 Expo was held at this hotel. When we arrived, one poster caught my attention. It was really different from other marathon poster… Very island taste.. it almost looked like Guam tour package poster. I really liked their originality! We started to set up our booth that day. 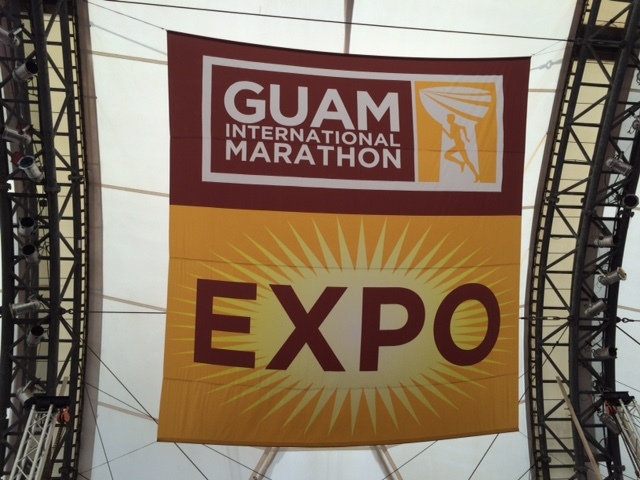 Guam International Marathon 2016 Expo started on 4/8(Fri). 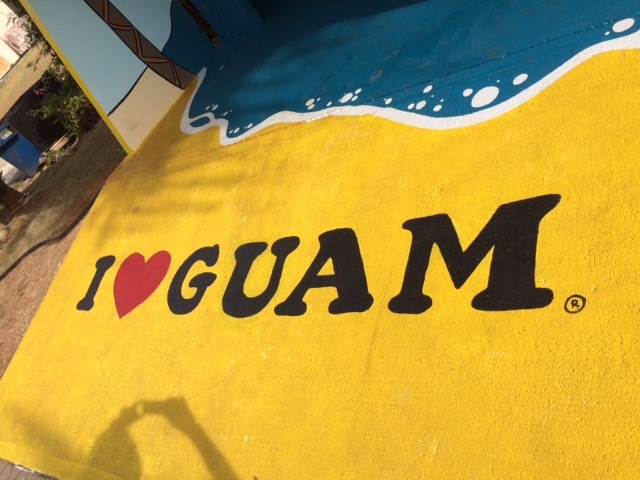 This is actually the only opportunity throughout a year for Phiten Hawaii to meet our customers there in Guam. We greatly appreciated so many customers who stopped by our Phiten booth! We had some regular customers visit our booth too! 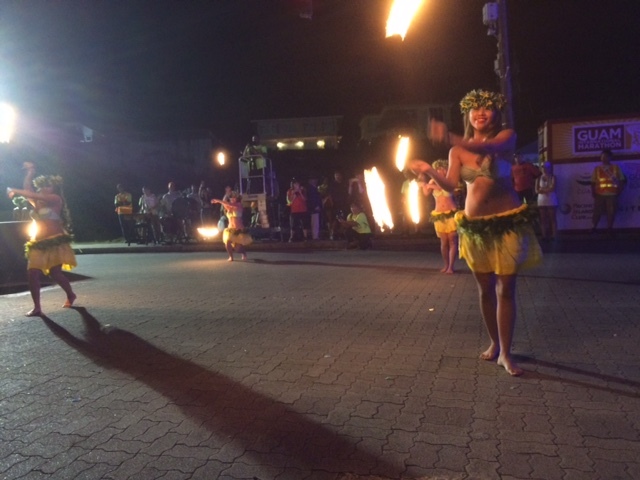 They come to many of events in Japan as well as Honolulu Marathon every year! Thank you so much for stopping by and say Hi! We were having a taping class as well. If you see Phiten at any Marathon Expo, please stop by and check out how to apply Phiten Titanium Tape the most efficient and effective way. We were on local news too! Our staff Nao from Phiten Japan HQ was explaining why so many runners were using Phiten products world wide. Our specials at expo!!! This was the number one seller, Phiten Runner’s Kit! This kit is available only at Marathon Expo. So please make sure to check it out when Phiten is at any Running Expo! Also we had coupons for all the runners this time! It was a little small this time, so many runners told us that they could not find then in their runner’s packet.. But about 80 people showed up for the free Phiten Titanium Discs sample with this coupon. They got to try the Phiten Discs for the actual run day. And many came back and told us at the goal tent about how good they were able to run with the Phiten Titanium Disc! Please look for these coupon at Marathon Event when Phiten is there. Why not try it for yourself, right? Then, Naoko Takahashi aka Q-chan showed up on the stage!! 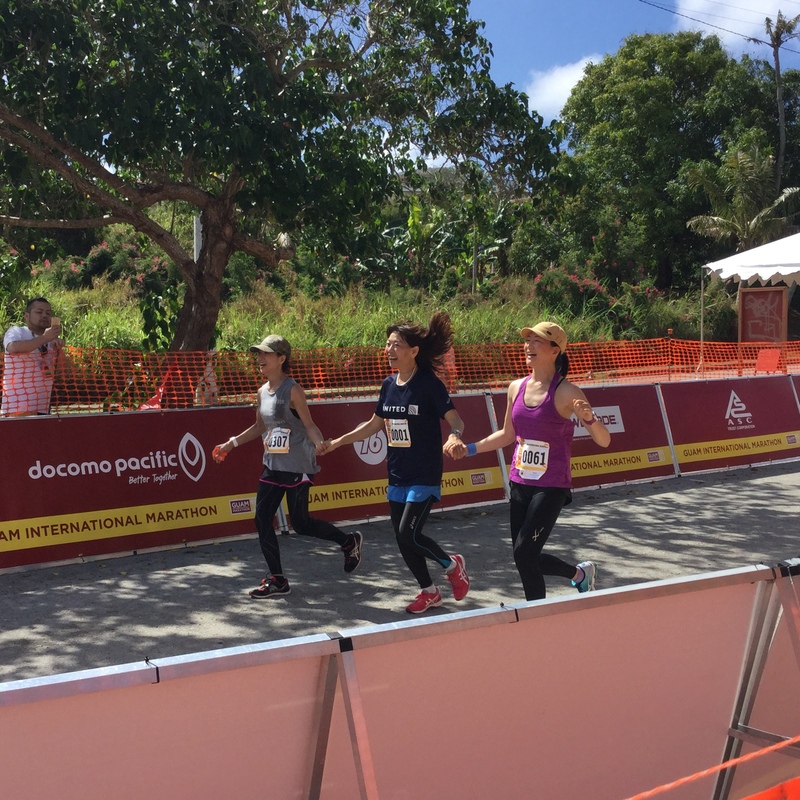 She started Guam International Marathon Ambassador from 2015 last year! She is the Gold Medalist of Sydney Olympic Women Marathon. And as you might guess, yes, so many fans were there at Expo Stage! 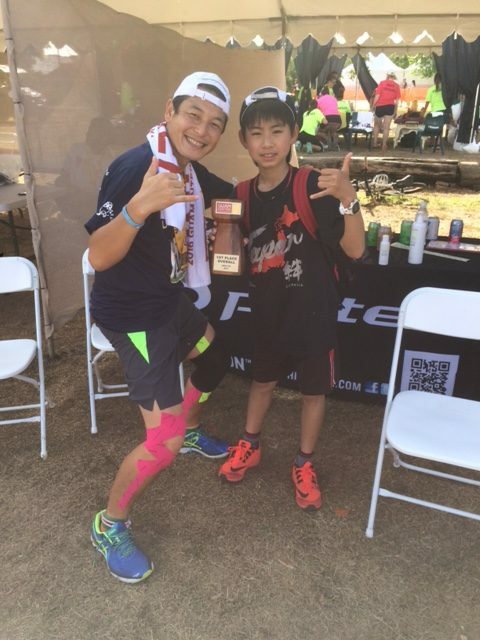 I know many people attend Guam Marathon to see her and to finish the Goal Line with her, which I will talk about later. 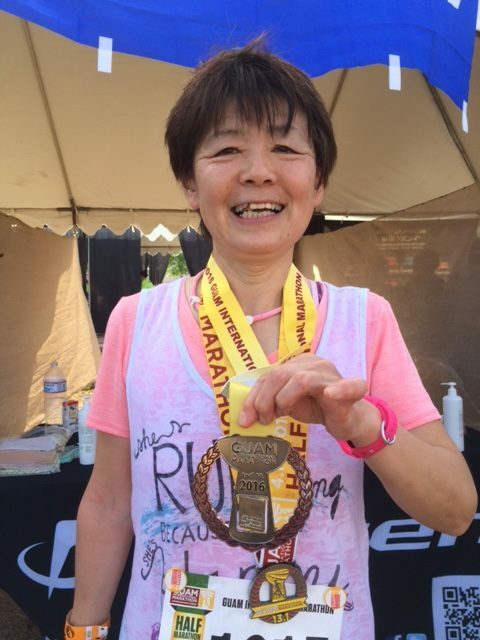 Even at Honolulu Marathon in Hawaii, which she has attended for 8 consecutive years, so so so many runners come to see her and get her great tips to run Marathon! As her special event, PIA Tour from Japan had “Q-chan Morning Run Clinic!” This is where you can learn how to effectively stretch for Marathon, how to pace yourself for this marathon, which part of your body you would need to use for the beginning, mid, and towards the end…. and so many more things!! This session really has the priceless value. 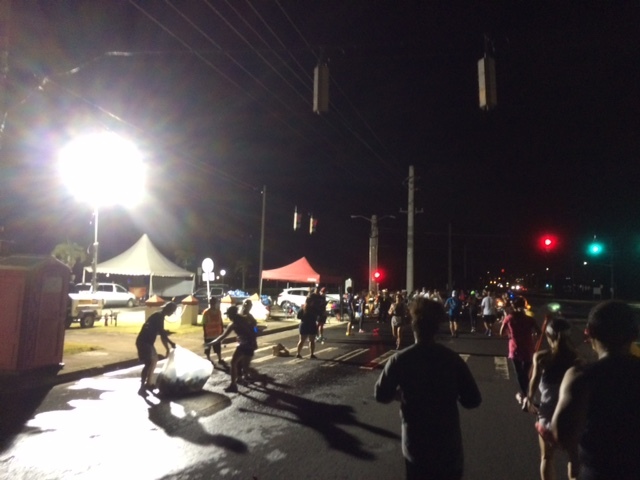 PIA Tour has this morning run clinic for Honolulu Marathon as well. 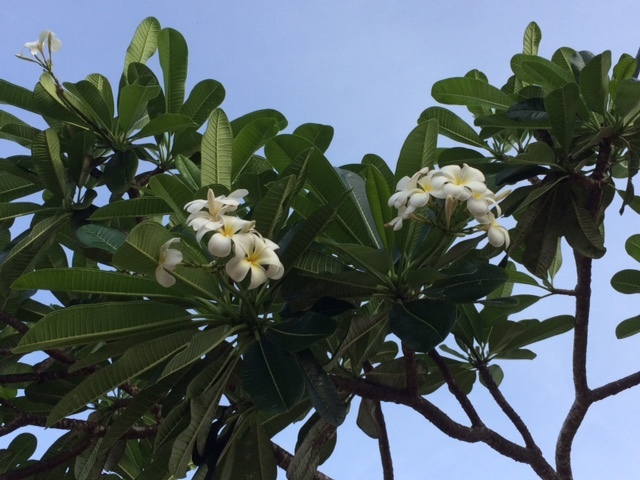 If you are interested, please check out this PIA Honolulu Marathon Tour website. 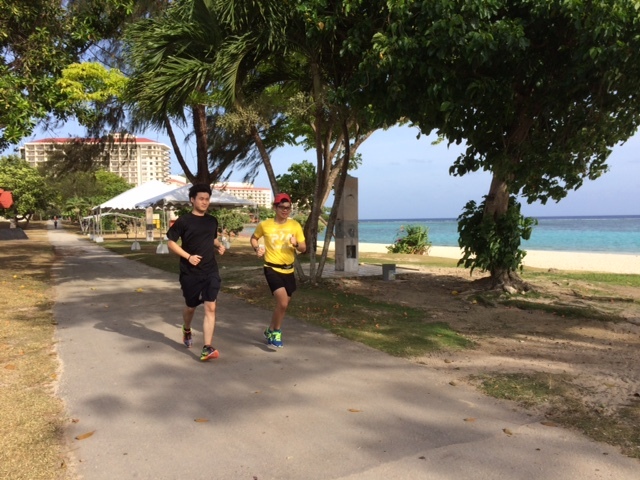 On 4/10(Sun), Guam International Marathon started! It started so early morning.. 3am for Full Marathon, 4am for Half Marathon, 5am for 10K, and 6am for 5K. I myself attended Half Marathon this year. So, I was at the start line around 330am. 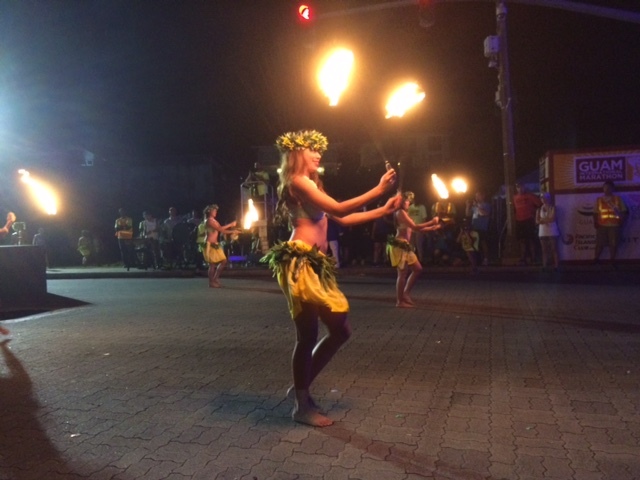 Suddenly, 5 dancers started dancing with poi balls with fire on!! It was so exiting performance to see at 345am! After the performance, all runners need to go into this blue half round dome. You need to go through this for our chip on the shoe to be effective. Let’s begin! After the steep, we went up and down about a couple times. Then, it became a flat course. Suddenly I sensed the smell of ocean!! The beach is right there!! I thought… But… it was literally dark out there. It was 4 am start.. There were not much lights as well.. We were running since we saw somebody running near you, so that we knew where we were heading to. So honestly, I did take more pictures, but there were not much that I was able to use since it was all dark.. 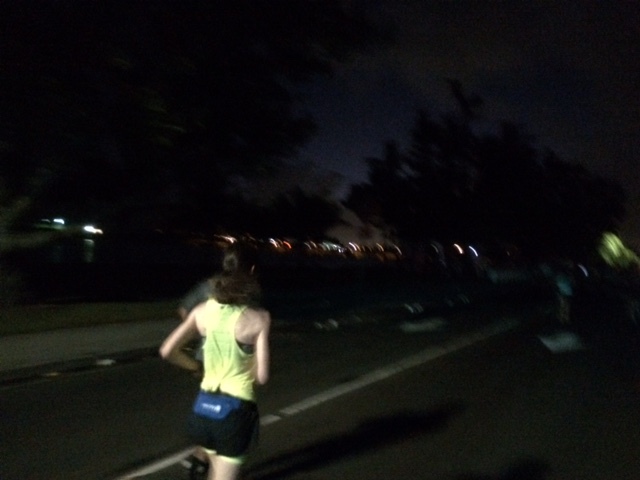 This was at 10k point… This was the brightest spot throughout the entire course. And we had Q-chan, Naoko Takahashi, cheering up all the runners!! Her high touch helped so many runners to move on!! So, as you see in the course map, you go straight by the beach and come straight back where you ran. Then, the unbelievable steep uphill from the start was now steep downhill. 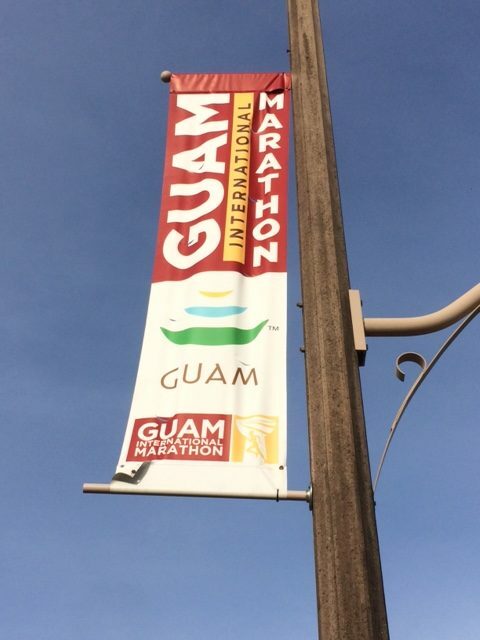 After that, we saw the huge banner of Guam International Marathon on Pacific Island Club Hotel, which implied that we were almost there. Then, less than half a mile, we pass the last corner to the right and goal! After the goal, we had so many refreshments, such as drinks, fruits, snacks, even free beer!! We Phiten had a tent at the finish line. Many of our customers stopped by and chatted about how it was. Of course, we prepared lots of our Phiten Lotion at the tent! and were doing Phiten Body Care! You can feel the big difference with this Phiten lotion after your run.. We saw many runners smile there! Thank you for stopping by! Remember this runner from the booth picture earlier? She won the second in her age range so she got the huge medal! She said that she was the first last year…. Nice Smile!!! The boy in the picture below, his name is Syunki Niwase… He came to our booth at expo and said that he would win the first place in 5k in all age. 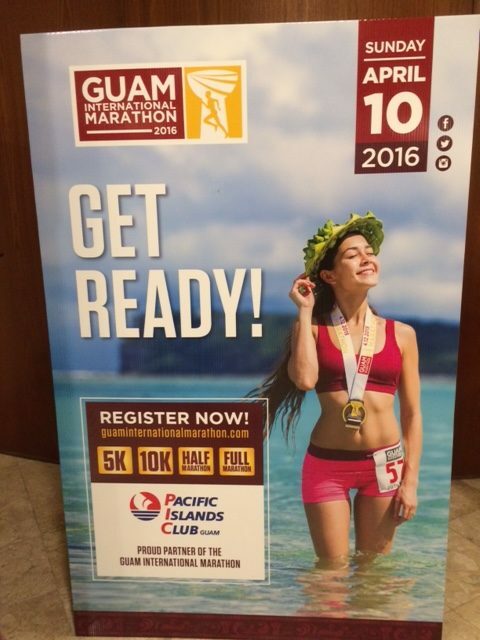 We were surprised and checked the Guam Marathon Free Magazaine. He was 4 th place in 2015 in all age. He is 5th grade elementary school boy. This year, he did win the first place! I did see him running with a couple adults shoulder to shoulder fighting to get his course! It was so exciting to see the battle. He came to our booth to inform that he won!!!! All of our staffs jumped around and congratulated him! Congratulations!! She became Guam International Ambassador in 2015, which is last year. She started this just out of nowhere. Just purely, her heart for runners moved her body doing this.. She is the ONE…. Overall, it was an amazing run experience. It’s about people here, the great weather, and feeling that you cannot feel anywhere else. I would highly suggest this marathon! 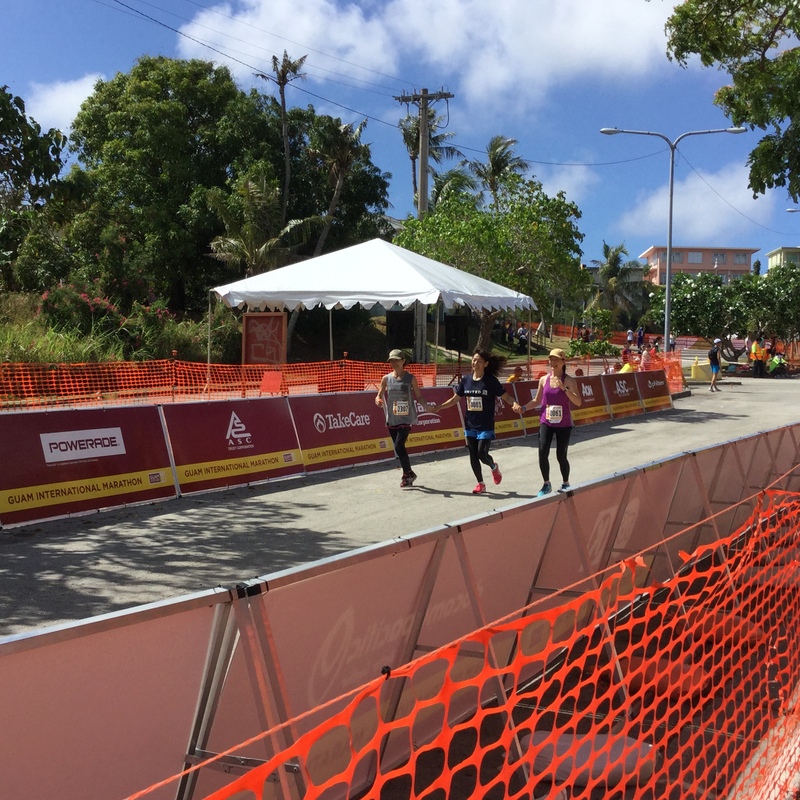 Thank you so much for taking time to read this Guam International Marathon 2016/Phiten Hawaii Run series. I hope this marathon could be your next endeavor.